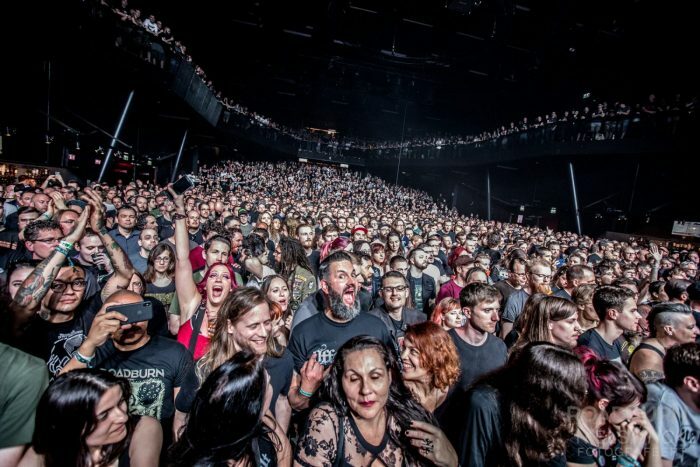 Ah Roadburn Festival, what a year we had again. This time in the smouldering heat and the many walks between the new stages (Koepelhal and Hall Of Fame) and the 013/Weirdo Canyon stretch. I really hope this year’s edition doesn’t just go into the history books as “the year it was so bloody hot”, similar to how some people still talk about the 2010 edition as the year the Icelandic volcano Eyjafjallajökull eruptions disrupted the programming substantially leaving many bands and Burners stranded, as this would really undersell this year’s edition. It was my 3rd straight Roadburn and this year’s line-up was probably the best out of those 3 years. In fact, we were spoilt for choice, with 4 bands easily clashing at the same time on any given day of the festival. 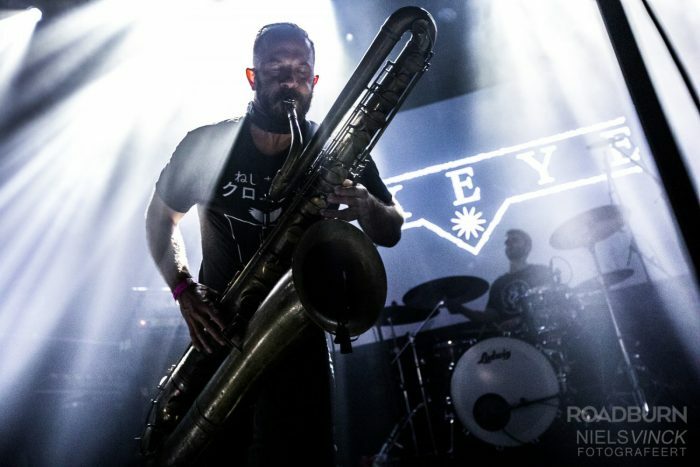 If anything 2018 should definitely be remembered for the year festival director Walter asked some esteemed Roadburn alumni to come together to write a specifically commissioned piece of music. 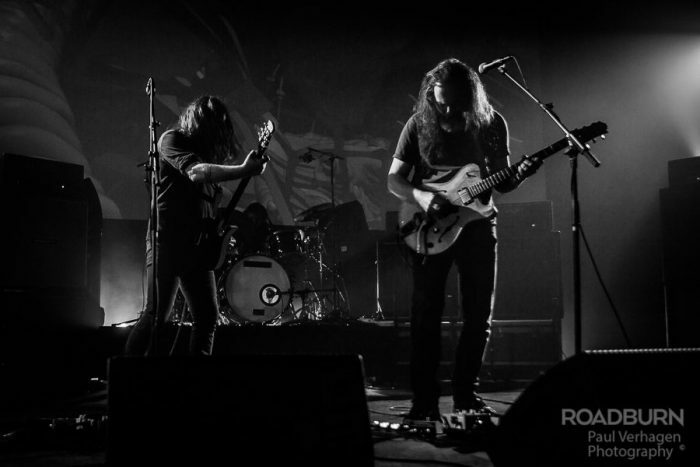 On Thursday it was Dark Buddha Rising that joined forces with Oranssi Pazuzu, to play a spellbinding hour and a bit under the name Waste of Space Orchestra. 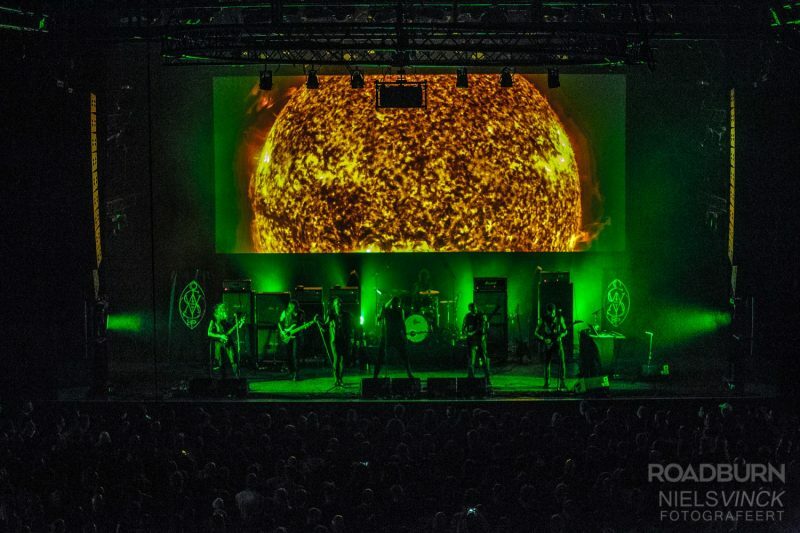 This was a spectacular opening of this year’s Roadburn edition, at least on the Main Stage. 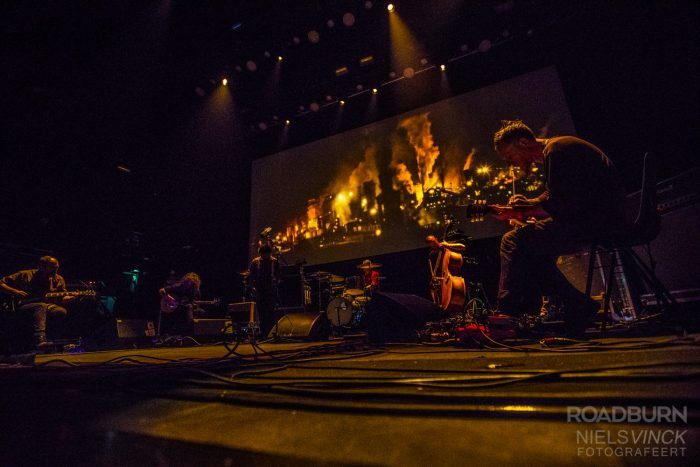 What the Waste of Space Orchestra came up with was the very essence of Roadburn, creating an eclectic mix of blackened psychedelic doom, luring the spectators into oblivion. Personally I felt this would have been even better received if they would have played at a later time or a later day in the festival, as my mind simply wasn’t ready yet to fully digest what was going on. Waste of Space Orchestra – Photo by Niels Vinck. On Sunday the second commissioned piece was performed by a group of by now quite familiar faces at Roadburn, namely various musicians from Icelandic bands Misþyrming, Naðra, Svartidauði and Wormlust performing under the banner Vánagandr: Sól án varma to perform a specifically for Roadburn written musical piece. This was a right spectacle which built up with so many layers, it was at times hard to grasp what exactly was happening on the Main Stage. 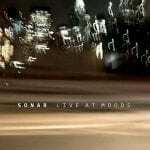 In other words, this was a breathtaking piece of music, even pleasing the non-black metal fan. The combination of the music with amazing visuals showing close up images of tendrils of flames erupting from the sun and the outfit changes from black to white around two-thirds in was simply outstanding. Both commissioned pieces were so much to take in that one can only hope both will get the well-deserved vinyl treatment soon. Vánagandr: Sól án varma – Photo by Niels Vinck. It’s funny though how we all spend many hours listening to all the bands on the line-up we’ve never heard of and how we spend many hours planning a detailed schedule of the bands we’re intending to see, but in my case then end up watching perhaps only a third of the bands on said schedule. More so this year than previous years I’ve taken the liberty of being pleasantly surprised by bands I wasn’t planning to see beforehand. And I’ve listened more to my mind and body this year and I went for bands that just simply felt good at the time. Vánagandr: Sól án varma – Photo by Paul Verhagen. For example, I wasn’t planning to watch 3 hours of Godspeed You! Black Emperor, but in the end I did. Especially their Sunday set felt the right thing for me at that time, admittedly watching it from the far back in the 013, whilst sitting down on the steps. This however had the added benefit to see the visual master Philippe Leonard at work, who deservedly got a standing ovation from the crowd afterwards. But Godspeed was on top form at Roadburn, playing 2 monster sets which included a lot of fan favourites like ‘Hope Drone’ and ‘Mladic’. They were simply magnificent. Godspeed You! 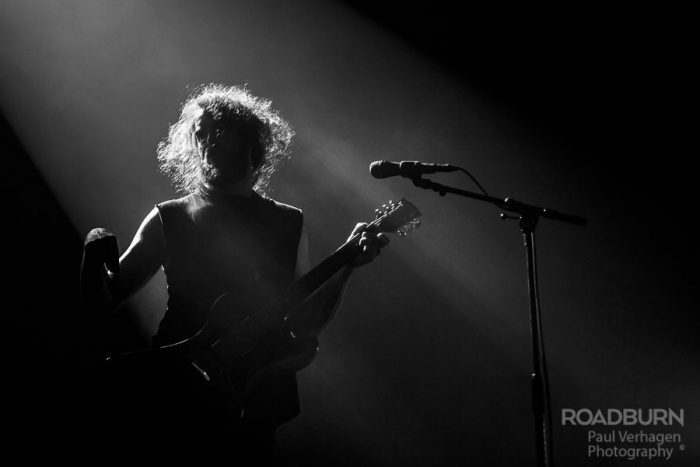 Black Emperor – Photo by Niels Vinck. One of my “must see” shows of this year’s edition was the collaborative effort of Thou x The Body, and guess what? I completely did not see that show, a decision which will probably be on my list of regrets for the rest of my life. But instead I decided to watch the surprise 3rd set by Icelandic up-and-coming band Une Misère, who were ripping the Cul de Sac a brand new one. Having missed their two scheduled sets the days before, I really needed to watch them at this 3rd and final opportunity, and I’m sure they were this year’s band that people will talk about for many years to come. Their energy and intensity on stage is so ferocious that regardless of the heat and overall tiredness in the Cul de Sac the place soon errupted in a mighty moshpit. Afterwards I could stay in the Cul de Sac sipping a nice Belgium beer (from an actual glass!) whilst waiting for my Edinburgh pals Hair of the Dog to finish the Saturday line-up. Small, sweaty venues are what Hair of the Dog loves the most, as they always play to their full potential then, and they played a blinder of a set full of 70’s infused fuzzy rock, thereby being a great addition to all the bands that played as part of the San Diego takeover. 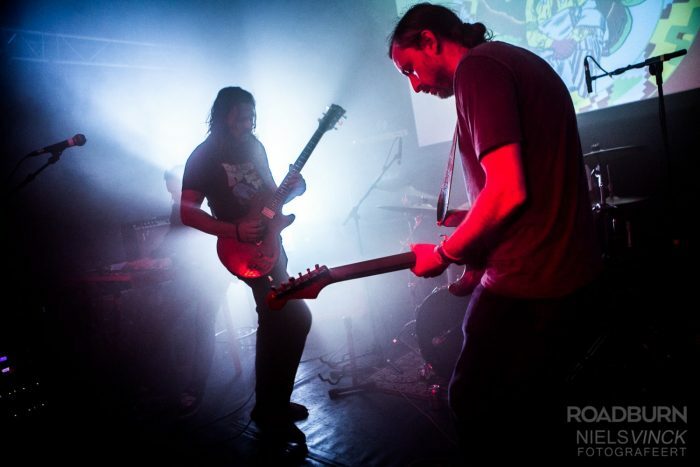 Sacri Monti with Isaiah Mitchell from Earthless – Photo by Niels Vinck. I’m not sure how many people managed to watch all the San Diego bands as part of the takeover, but I’m sure some diehard fans did. I managed to catch great shows by Sacri Monti, Harsh Toke, Petyr, Arctic and JOY, who all seemed to thrive in the warm conditions, and the sweaty venues, especially at the Hall Of Fame, which seemed to have turned into the San Diego home base. Which isn’t too surprising as the Ladybird skatepark is located in the same building, and with many guys in the San Diego bands being pro skaters, well, you get my gist. I sadly missed the shows that were played at the actual skatepark, but from what I’ve heard this was a great experience. It’s a shame the skatepark gigs weren’t advertised any better as I simply didn’t know these were taking place. Or perhaps I just missed the briefing, and I suppose the nature of these gigs is the spontaneity and perhaps you just needed to be at the right place at the right time. It is pretty awesome though that Roadburn opened the doors for the general public and local skate kids to be able to see some awesome bands whilst skating with some of their heroes. The biggest name on the San Diego line-up was undoubtedly artists in residence Earthless, who played a fantastic set on the main stage on Thursday, probably the best I’ve ever seen Earthless live; they were on top form. It was a nice surprise to see Isaiah Mitchell from Earthless play a 20 minutes jam with Sacri Monti at the Hall Of Fame the next day, which was one of those moments many people had been hoping for when the San Diego takeover was announced. 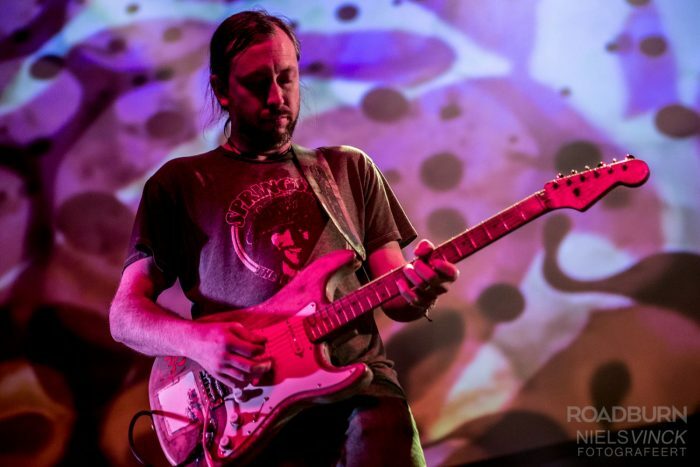 Earthless – Photo by Niels Vinck. But earlier on that day I watched the mighty Motorpsycho play for two whole hours on the Main Stage, thereby opening the Friday procedures. I’ve said this before and will keep on saying this, but Motorpsycho is one of the best live bands on the planet. To see them play 2 hours at Roadburn was a personal dream come true, so I made sure I was there early to find a spot at the very front. You never really know what setlist they will play as each Motorpsycho show is different. If they would play 5 nights in a row and you’d watch all 5 shows, you’d get a very different set each night. That’s one of the great things about this Norwegian band, who are oddly quite difficult to classify. 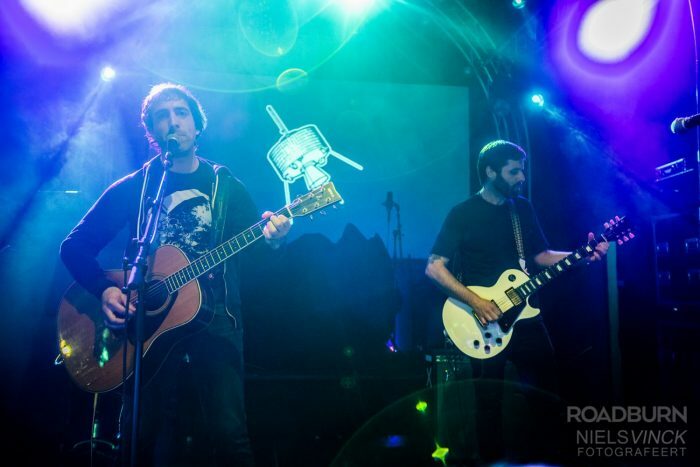 They play bits of stoner, psych, rock, progressive and even, at times, grunge-like metal. Their set was hugely focused on their latest album, the magnum opus The Tower, but the many diehard fans in the audience were delighted when they started their set with ‘Un chien d’espace’, and were even more delighted when old classics like ‘Heartattack Mac’, ‘Starhammer’ and ‘Taifun’ were included. The interplay between main members Bent Sæther on bass, guitar & vocals and Hans Magnus “Snah” Ryan on guitar & vocals was just glorious to observe and enjoy. 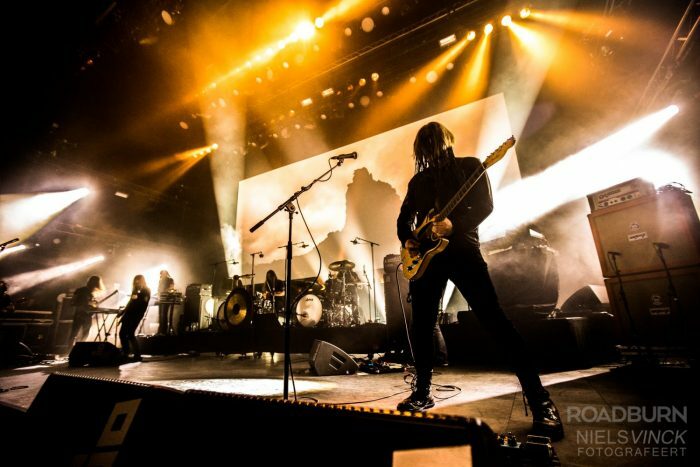 Motorpsycho – Photo by Paul Verhagen. Friday was always going to be a tough day to follow on from that brilliant Motorpsycho set, but I decided to go full on psych (another non-planned decision, simply following the right feeling at the time). 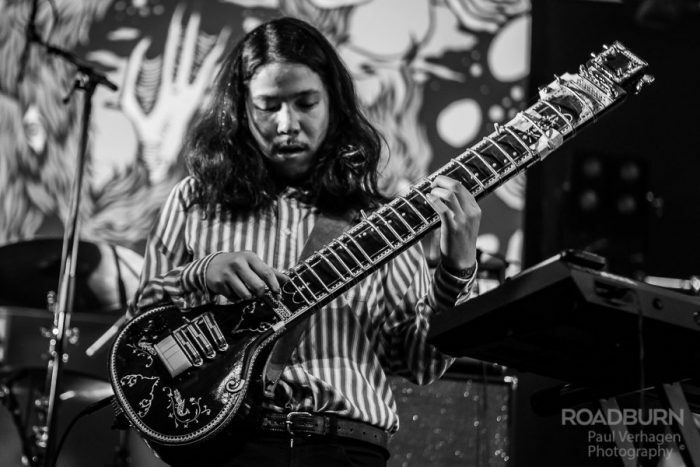 So, I had great fun watching many Japanese psych bands, like Kikagaku Moyo at the Koepelhal, Minami Deutsch and Dhidalah, both at the Green Room. For the diehard psych fans watching these bands continuously is an easy feat, but I did have to get “woken up” a bit halfway through the Friday evening, and what better than a thundering set by Godflesh playing Selfless in full. Again, I wasn’t initially planning to watch the Godflesh set, but goddammit, I’m so happy I watched a good hour of those glorious riffs, heavy bass lines and industrial drum beats. Kikigaku Moyo – Photo by Paul Verhagen. 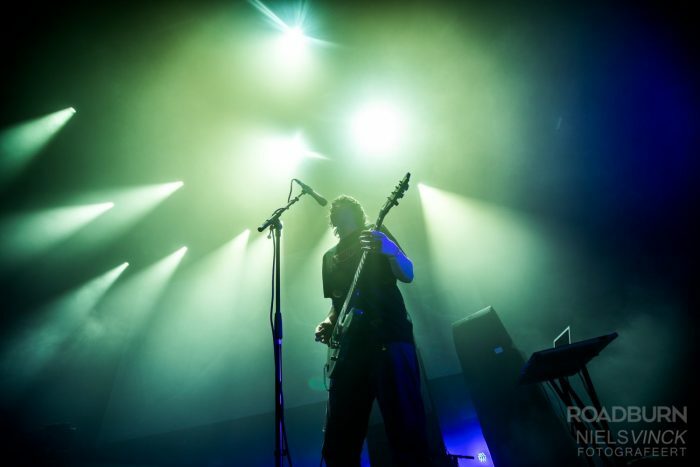 Godflesh – Photo by Niels Vinck. A couple of the bands that were on my schedule I did manage to see, such as American black metallers Yellow Eyes opening Het Patronaat on Thursday, thereby testing the PA system to its full potential, causing a 15 minutes quiet interruption before they ferocisouly continued their ste. Also on Thursday I watched the outstanding performance by Cult of Luna and Julie Christmas playing Mariner in full once more (and allegedly for the very last time). I did see them play Mariner in full at Damnation Festival in Leeds 2 years ago, which blew me away at the time, but at Roadburn even more so. Julie Christmas was on top form, demonstrating what a great front woman she is, and Cult of Luna was heavy and tight as ever. Unfortunately I only got to see Ex Eye for the first couple of songs at the Green Room, but what I saw was very impressive, and I hope I get to see a full show by them at some point, On Saturday Japanese cult act Greenmachine came out of retirement as part of Jacob Bannon’s festival curation to play their legendary album D.A.M.N. in full at Het Patronaat, which turned out to be an amazingly loud spectacle. Earlier on that day Mizmor lived up to my high expectations and played a blistering set of blackened doom. On Sunday Belgium black metallers Wiegedood represented the Church of Ra at Roadburn, demonstrated very nicely why they are one of the most exciting black metal bands to come out of Europe, with a one hour powerful display of high speed riffing and drumming, occasionally interrupted by more quiet atmospheric moments. 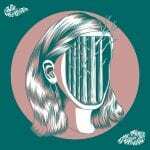 Later on this day New York dreamy sludge band Spotlights stole the show in the Green Room with their very energetic set, which was dominated by additional vocal and guitar effects and an amazing heavy bass sound. 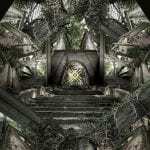 Ex Eye – Phoyo by Niels Vinck. Wiegedood – Photo by Paul Verhagen. On Saturday the majority of people I spoke with were probably most excited to see Bell Witch play Mirror Reaper in full. I managed a good 20 minutes of that set, which was great and even more so because of the excellent Roadburn crowd managed to be near dead silent throughout. 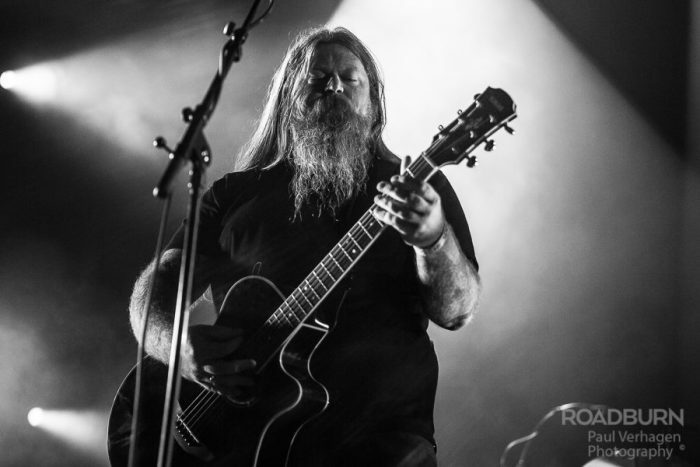 But to be able to see Ivar Bjørnson and Einar Selvik play their Norwegian folk project Hugsjá live outside Norway for the first time was simply irresistible. What they managed to deliver on that big stage was a beautiful performance of intricate melodies and vocals complimented by the use of traditional musical instruments. Einar and Ivar explained many of the songs to the audience as well, which really gave it a very personal touch. Hugsjá – Photo by Paul Verhagen. 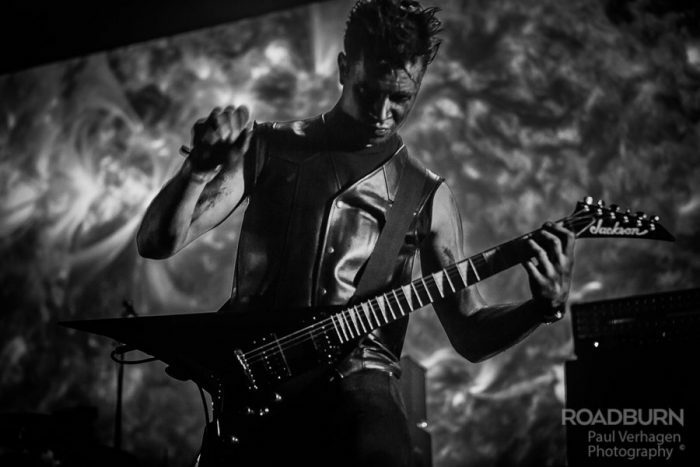 But Roadburn’s most personal performance came from Stephen Brodsky and Adam McGrath who played the most emotional tribute to their best friend Caleb Scofield who had sadly passed away earlier this year. Their set included a lot of Cave In songs with ‘New Moon’ one of my “saddest” highlights (as I couldn’t keep it dry anymore by that stage), but also a couple covers that were very personal to Caleb, such as Neil Young’s ‘Harvest Moon’ and Townes Van Zandt’s ‘Nothin’. As a late teenager Cave In were hugely important to me, and I remember seeing them twice in the small room at Amsterdam’s Paradiso. To be able to have witnessed this tribute and thereby being able to say goodbye to Caleb in my own way was very special indeed. I can only thanks Walter and Roadburn so, so much for making this happen. Stephen Brodsky and Adam McGrath – Photo by Niels Vinck. This year’s edition was one big tribute to one other person as well. Last year one of Walter’s closest friends Bidi van Drongelen also sadly passed away. I have met Bidi only once, very briefly 3 years ago, but I know he was a close friend to many Burners, and many of the bands and artists who were playing as well. This whole edition was dedicated to Bidi and if he could have been there he surely would have agreed that Walter, Becky and the rest of the Raodburn team have exceeded themselves at this year’s edition. In the Roadburners group on Facebook there is already a lot of discussion taking place on who should be curating next year, who should be artists in residence, who else should play, which albums should be played in full. 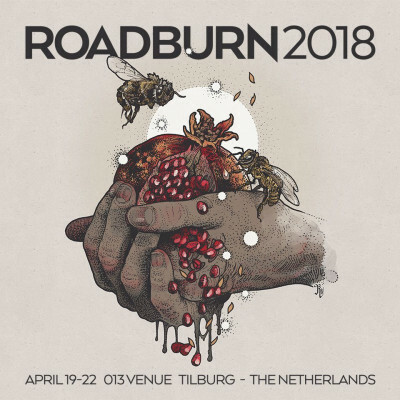 Whatever happens and whoever gets the honour to play, one thing is certain, Roadburn will always be brilliant and will always have a fantastic line-up, with loads of opportunities to be pleasantly surprised. See you next year, Planet Roadburn. The Roadburn Family. Can’t wait to see this lot again! – Photo by Niels Vinck.